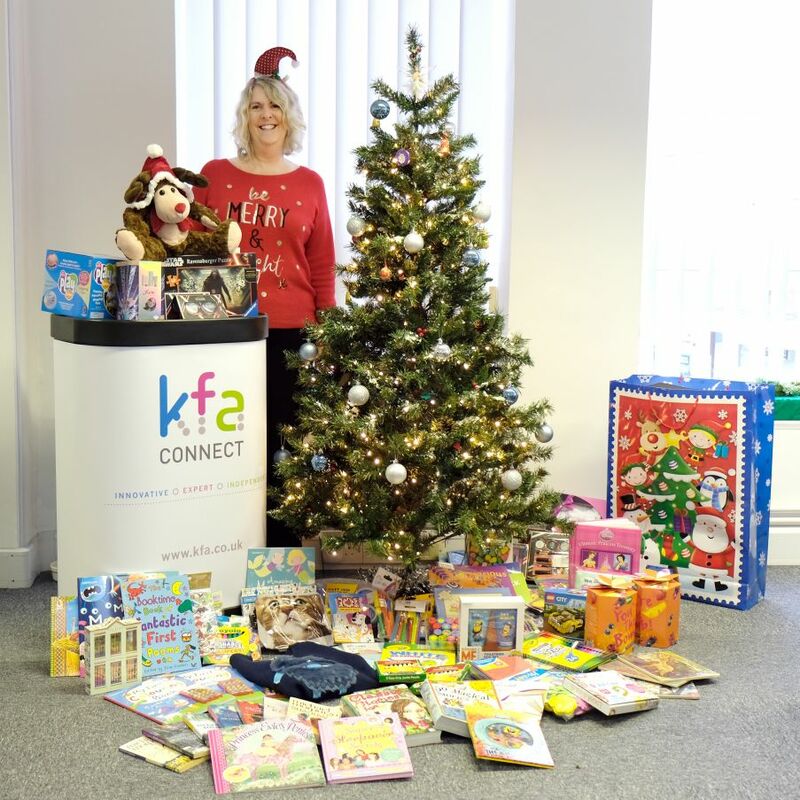 Once again this year the KFA Connect team have donated toys and presents for these children, to try and help make their Christmas morning special. The collection was organised by our Test Manager, Jacquie Webber (pictured above) and the KFA team have donated each Christmas since the appeal first started. Also this year we joined in for ‘Christmas Jumper Day’ fun on Friday, 9th December. By holding a cake sale and making donations instead of sending each other Christmas cards we raised an additional £35.00 for the appeal. Spot the David Brent impersonation at the front…!?! For more info about Cash for Kids Mission Christmas click here.